With the cycling landscape in Singapore limited, it’s good to know the staple local cycling routes and rides. The fact there aren’t many places to cycle in Singapore for longer than 10 minutes without hitting lights, crossroads or traffic; one looks for roads and routes which add some excitement, distance and variety. 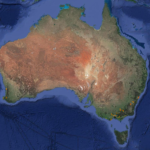 There are a few options, the tried and true cycling routes and then there are international routes. Lets take a look at the best places to cycle in Singapore. 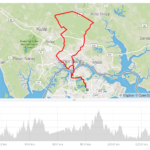 THE staple cycling route in Singapore is the standard Kranji , however with the recent construction through Kranji some opt for the shorter Mandai loop instead. The Mandai loop is the same route of choice for the LH501 ride. 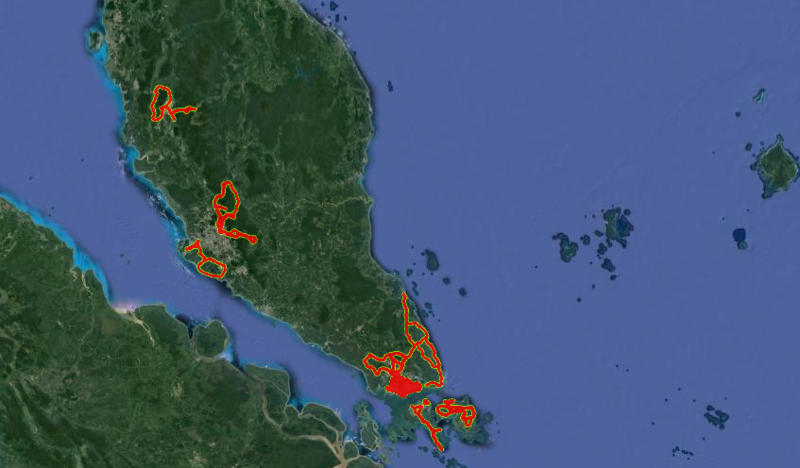 You can easily reverse the Kranji loop which makes for a nice ride. 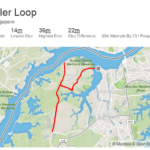 Plenty of variety can be added to the by throwing in a Seletar loop to finish off the route. A nice route heading along Barley-Bradell road out to Changi, and coming back via East Coast Park. This route is good a good fast ride. It starts off with rollers and ends fast and flat through East Coast. Seletar is an Airport in the North of the Island and as a lovely ring road which many Singapore cyclists frequent. It’s a 12 kilometre loop which can be ridden many times, anti clockwise is the way to go. Singapore Cycling route for public holidays and getting in those base miles. Everyone cycling in Singapore will have ridden a west coast loop, or some varient of it. The loop is a 40 kilometre route heading west along the viaduct to Pandan Reservoir, riding back towards the city via South Buona Vista and Holland Road. Similar to the West Coast loop, on this route you hit the hills of Singapore on the way back towards the city, but skip SBV (South Buona Vista). This page is constantly being updated so check back frequently for new routes and write ups. If there are any spots you know please feel free to drop me a message and I can include them here. Thx for the tipps! Nice roads in the northeast: Admiralty Rd, Yishun Dam, around Seletar. If you take Upp Thomson/Mandai Rd to get there it doesn't necessarily have to be RTI only. You are right Roli! There are some great roads up around Seletar. I will post up more routes soon. Stay tuned.